Our tuk-tuk slows to a halt on Charles de Gaulle Boulevard. Five of us, who have been piled on the sweaty pleather seats for the last twenty minutes, jump out of the vehicle and take in the surroundings. The area is already swarming with people: sleepy-eyed police officers and security guards half-heartedly manning the black metal barricades, trial attendees waiting for the court doors to open, and passersby heading to work. 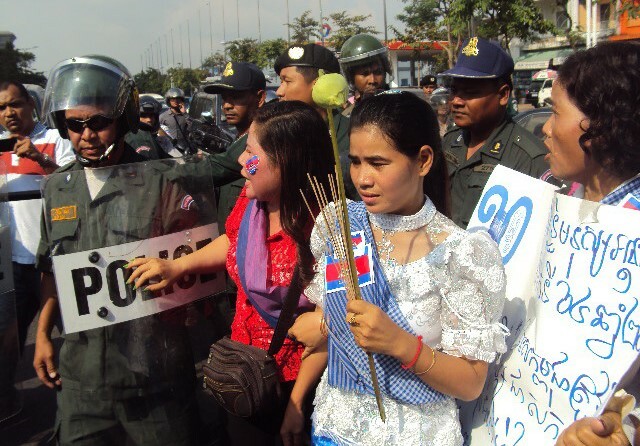 It is Friday, May 30th, and we are awaiting the court verdict for 23 human rights defenders and garment factory workers who have been detained since the beginning of January. They are accused of instigating violence during strikes calling for minimum wage increases. During the three days of the trial, CCHR and other human rights organizations noted that the defendants’ rights were violated on several occasions. 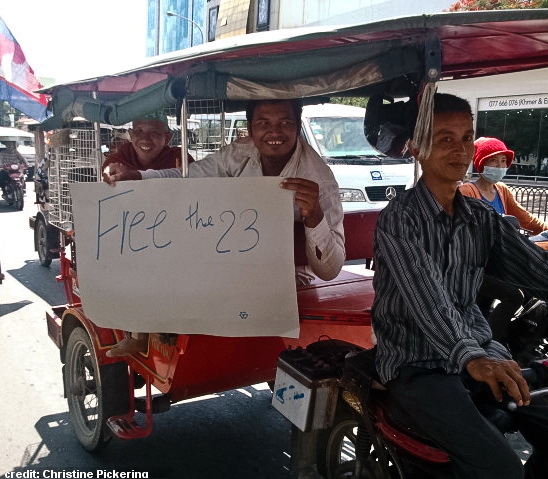 The 23 were denied bail despite health concerns, initial access to their legal team, and adequate medical care. In addition, there was a complete lack of incriminatory evidence presented during the hearing, and the judge expressed an extreme bias in favor of the prosecution throughout the trial. Several local and international CCHR staff, including myself, have arrived to monitor the trial and the protests taking place outside. Those inside will determine whether or not the defendants’ fair trial rights are respected, while those outside will observe the protests, operating as witnesses in case they turn violent.